The HES’11 event was great: I had the pleasure of listening to some awesome presentations, and to meet some great people. The most interesting presentation from a non-technical point of view was the attacks at the automount feature of Linux, which everybody thinks is completely secure, but is in fact very flawed due to some buggy rendering libraries. It’s quite interesting that almost everyone thinks that their Linux installation is secure, when in fact if Linux was mainstream, viruses would be abound — but Linux is only a minor player, so malicious software is rarely written for it. As the graphics show, the SAT solver is in fact only one player in this environment. As it turns out, it is the very last step after obtaining the cipher, creating equations describing the cipher, and converting the ANF equations into CNF. The best way to create equations from the original cipher is to use the excellent Sage Maths library for this, a tutorial of which is here. Then, the ANF created by Sage can be transcribed into CNF using, e.g. the anf2cnf tool by Martin Albrecht and me. Finally, the CNF must be solved with a SAT solver to recover the key of the cipher. This last step can be carried out by many SAT solvers, such as lingeling or MiniSat, but I prefer CryptoMiniSat, since I am the main developer for that SAT solver, and it is also very convenient to use in this domain due to some domain-specific advantages it has over other solvers. The middle two steps of the diagram are all automated by the Grain-of-Salt tool if you don’t want to use Sage, and it also contains some example ciphers, so you don’t even have to do step no. 1 in case you wish to work on one of multiple pre-defined industrial ciphers. In case you are interested in the visualisations I used during my presentation, here is the set of tools I used. For the 3D visualisation, I used 3Dvis by Carsten Sinz — it’s a great tool to extract some structure from problems already in CNF. In case you still have the ANF, it contains more structure, though, and so it is more interesting to look at it that way. Unfortunately, that is rarely the case for typical SAT problems, and so one must often resort back to 3Dvis. For the example search tree, I used CryptoMiniSat 1.0 and gnuplot, and for the example real-time search, I used CryptoMiniSat 2.9.0, available from the same place. Unfortunately, CryptoMiniSat 2.9.0 cannot generate a search tree yet, but this eventually will be included, with time — especially if you join the effort of developing the solver. We are always looking forward to people joining in and helping out with various issues from graph generation to algorithm performance tuning, or even just some fun research. 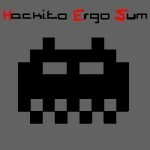 There is going to be a nice hacker conference in Paris real soon now: Hackito Ergo Sum, between the 7th and the 11th of April. There will be plenty of interesting talks, among them, I will also be presenting some fun crypto-breaking :) The schedule is here, I am scheduled for the first day, on Thursday at 11:30 AM. If you are in or near Paris, come around for the conference, I am sure it will be a really nice one :) If you are interested in meeting me, we can also meet in Paris, just drop me a mail, but better yet, come and chat with me at the conf, I will be there all day long. The HES conference mainly focuses on attacks: against software, crypto, infrastructure, hardware, and the like. If you are interested what the current trend in attacking these systems is, and/or you are interested in making your organisation safer from these attacks, it’s a good idea to come and visit to get the hang of what’s happening. It’s also a great opportunity to meet all the organisations and people who are driving the change in making software and hardware systems more secure by demonstrating their weaknesses and presenting possibilities for securing them. I just read this paper on cybersecurity by Daniel E. Geer, and I was very impressed. Unfortunately I haven’t heard from the author yet, but I regularly used to read the blog of Bruce Schneier, and this essay basically puts the same ideas into perspective. I have found the essay to be very interesting, and very thought-provoking. It shows very well that security in the cyber (or cyber-connected) world is very difficult to attain. There are no simple solutions. I personally think that security in the real world (not only the cyber world) is also very difficult to obtain, and unfortunately politicians tend to go the easy way, and simply bend in front of the will of the people by implementing “security measures” that in the end don’t help much (if at all) in terms of security, but reassure the people. An example of this is the ban of liquids on airplanes, while cockpits in Europe are still not reinforced — the former doesn’t achieve much but is very visible (and so is more of a security theater), while the latter would be much less visible, but also much more effective. Also to note, that the former takes a lot of man-power to implement, and inconveniences the users (thus taking their time, too), while the latter would be relatively cheap. The mentality that leads us to believe that bombing is more of a threat is that most people expect planes to be blown up, while hijacking is most only an afterthought. This serious mistake is probably a psychological effect, as most people tend to remember visually colourful incidents more, and Hollywood has made use of the “blow-up” effect too much, etching it into the brains of most people, even decision-makers. However, it is important to remember, that most serious problems in airports and airplanes were carried out through the use of arms other than bombs: to take a trivial example, no planes used in 9/11 were bombed. As a side-note, reinforced cockpits would have prevented all of 9/11, and European cockpits are still not reinforced, but my toothpaste is always taken away — a serious defect, I say.